Abigail and Jeremy will direct you to lots of local beaches, (including their favourite – Carne Beach, only a few minutes away in the car). Here you will find sand, rocks, safe swimming and glorious walking. In the Summer months the Tea By The Sea van serves ice-creams and drinks, or for those of you wanting a little more you can enjoy the stunning views from the comfort of the Nare Hotel while enjoying a delicious meal. If you are in need of a bit of retail therapy, Truro is 15 minutes away and has all the usual high street shops. However if you want to potter nearer to home you only have to wander up the hill where you will find an art gallery, general store with post office, hair dressers and pub. Now this is really what your holiday should be all about! 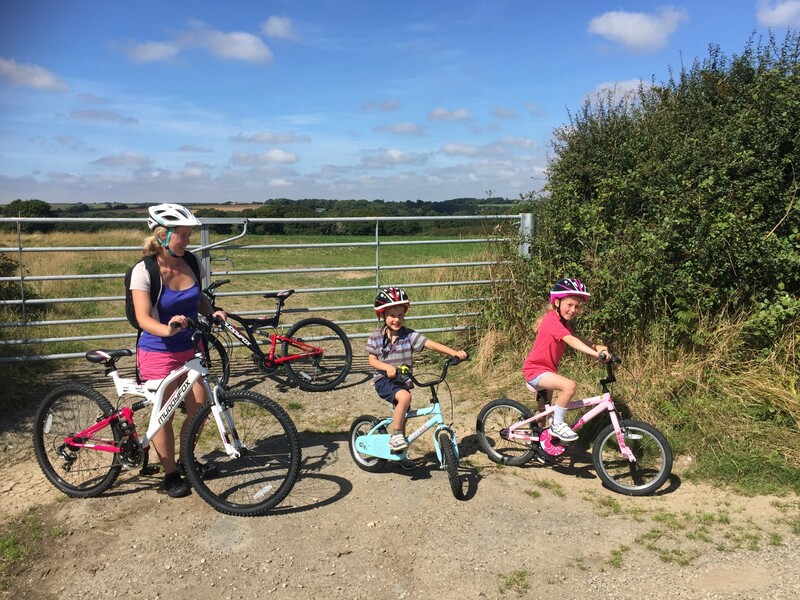 Pentewan Valley – with a tranquil cycle along the river towards St Austell. Camel Valley Trail – from Wadebridge to Padstow along the Camel Estuary. Click here for a comprehensive walking web page. Serious sailors will tell you that the sailing and boating around the Helford River and the Fal Estuary is second to none. If you want to learn ‘how to’ then we can personally recommend the tuition at: Mylor Sailing School. If you have your own boat then you can launch off several of the local beaches in and around St Mawes. Fistral Beach near Newquay is where it all happens if you are really keen, and it is only half an hour’s drive away. See where else you can surf around Cornwall. 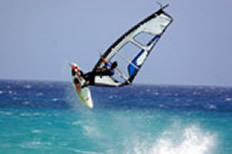 Click here for information on windsurfing in Cornwall, and for some of you who like an adrenaline rush don’t miss out on the Extreme Sports Academy in Watergate Bay! You will not go hungry on your holiday, that we can guarantee! There is something to suit every taste, from village pubs with excellent food, simple cafés and beach huts for a quick snack and Michelin started restaurants for the special night out. King’s Head in Ruan, fantastic country pub, friendly with great food and drink, you can sit out in the beer garden surrounded by stunning lilies or inside next to a crackling fire. The King’s Arms in Tregony, five minutes walk up the hill it is the perfect place to go for a hearty meal after a long journey. Friendly village atmosphere, good for all the family. 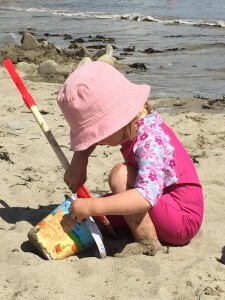 The Rosevine near Portscatho, with its stunning location right by the sea and delicious food, it is an ideal place for a special occasion with all the family. The Driftwood near Portscatho, this is a Michelin started restaurant, if you have a big birthday or anniversary to celebrate this may be the place for you. The Hidden Hut, still in the same location, this can be found underneath the Rosevine, looking out over Porthcurnick beach. This is highly recommended, fantastic locally source products, busy in the height of the summer with families playing on the beach and coastal walkers but well worth it. Tresanton in St Mawes (pictured above). 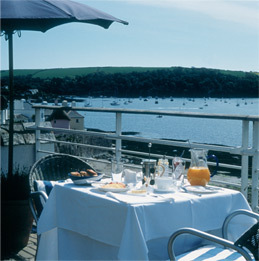 For terrific food and stunning views over the harbour. Morning coffee and afternoon tea recommended. The Nare near Veryan, with its stunning location above Carne beach it can be recommended for any time of day, with coffee or lunch in the quarterdeck or a sit down meal in the restaurant itself. Fifteen at Watergate Bay, situated on the Atlantic coast. Great food and an inspiring project from Jamie Oliver, you need to book way in advance. Rick Stein’s Seafood Restaurant in Padstow. Fantastic food and a beautiful seaside harbour to visit. Paul Ainsworth’s No. 6, Padstow. Hooked, Truro, a few good lunches have been had here, delicious food and a good break between shopping or a nice evening out. Please click here for some more suggestions for pubs and click here for reviews on many more places to go to eat. Abigail and Jeremy would be more than happy to book a table! We hope it won’t be wet weather but just in case the Roseland receives a shower or two and you want to hide in the cinema the Truro Plaza may be an ideal spot in which to shelter. If you drive to Penzance don’t leave without visiting the famous Minack Theatre. Quite apart from watching great theatre, the view is simply breath-taking – and there are gardens and cafes to enjoy – well worth a trip. Truro also has its very own theatre at the Hall for Cornwall. As everyone knows websites do better on Google with incoming links, so we make no apologies for the following!